Basketball may not quite match soccer, football, and baseball when it comes to real-world popularity, but the sport is champion when it comes to video games. 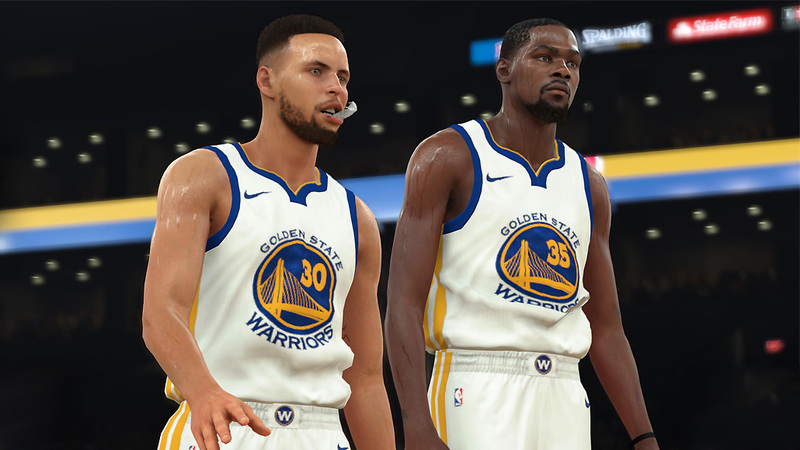 For years now the NBA 2K franchise has been pushing the entire sports genre forward with its cutting-edge AI, wide array of modes, and new concepts. NBA 2K may not sell quite as well as EA’s Madden or FIFA games, but it sets the quality bar. That said, even the most innovative sports sim on the block isn’t immune to complacency. NBA 2K16 broke fresh ground with its Spike Lee-directed story-driven career mode, but NBA 2K17 was happy to simply tweak the series’ winning formula. Is NBA 2K18 the next big step forward for the franchise, or does it stick a bit too close to the same old playbook? All the modes, extras, and flashy presentation in the world doesn’t matter if a sports game doesn’t deliver on the field/court, and, thankfully, NBA 2K18 has that part of its game on lock. If you’re expecting 2K Games’ latest to be NBA JAM, you may be in for a brief period of adjustment, but NBA 2K18 generally does a nice job of making its action accessible to new players. The game ties an impressive array of shots, passes, and other moves to a limited number of buttons — almost everything is controlled with just the two thumbsticks, four face buttons, and R trigger. This isn’t Madden, where you need a 10-page cheat sheet in front of you to figure out how to pass. Streamlined controls aside, NBA 2K18 is still very much a full-blooded sports sim. The flow of the games, the movement of the players, and the strategy required to grab the W all feels remarkably true to the real NBA. The pace of games may be a little slow for some tastes, but again, this isn’t NBA JAM. Playing defensively is actually an option, which is something you couldn’t say about most basketball games until recently. NBA 2K18 is also very good at integrating random elements into the game – missed shots, AI-controlled steals and blocks, and so on – often you’ll find yourself enjoying a game as a spectator even as you’re playing it. Nailing all the specifics without becoming bogged down and losing the excitement of the sport is something every simulation has to struggle with, and NBA 2K18 strikes just the right balance. NBA 2K18’s attention to detail extends to its presentation, which aims to replicate NBA broadcasts as closely as possible. Elaborate pre-game shows, player interviews, and impressive, natural-sounding commentary have long been NBA 2K signatures, and it’s all better than ever this year. Unfortunately, these neat little touches are somewhat let down by NBA 2K18’s graphics engine, which is due for an update. Some players (particularly top stars like Steph Curry, Kevin Durant, or Kyrie Irving) are dead ringers, but you don’t have to look far to find less impressive specimens – even big stars like James Harden and legends like Tim Duncan look a bit off. And heaven help the poor benchwarmers! Wonky eyes, goofy expressions, and embarrassing hair abound for those guys who aren’t household names. Aside from the tired expression, my face scan didn’t exactly capture me. Speaking of ugly characters, NBA 2K18’s character creation suite is easily its weakest feature. You start with one of 20-or-so pre-set heads, which you can only make very limited changes to. NBA 2K18 tries to get around this by letting you scan your own face using a mobile device, but unless you’re lucky enough to look exactly like LeBron James, the program probably isn’t going to capture you particularly well. NBA 2K18’s character creation feels a couple decades behind the curve, which is disappointing, as you’re forced to play as your ugly avatar in a good portion of the game’s modes. The biggest and most ambitious of those modes is MyCareer, which once again focuses heavily on story. Sadly, that story still isn’t terribly well written. As before, you step into the role of a young player making his way up in the NBA, although this time you improbably go straight from competing in a streetball tournament to signing with an NBA team. If you’re expecting any nuance or struggle here, you’re going to be disappointed – NBA 2K18 casts all that aside in favor of pure wish-fulfillment fantasy. You can play terribly, as I often did, and your character will still stumble from one unearned success to another. The most significant addition to MyCareer is The Neighborhood, a new “open world” area featuring a variety of different shops and activities. I use the term open world very loosely, as you can explore the entire Neighborhood in about 10-minutes. Really, it feels more like an NBA theme park attraction than any sort of living world. The hub does contain some fun distractions, including an arcade, streetball games, and a fully-stocked gym, but you’ll quickly tire of jogging around the same virtual city block endlessly. In addition to being a bit of a snooze, The Neighborhood is expensive, with most of the fun/cool stuff requiring you to shell out gobs of Virtual Currency (VC), which can be bought with real-world money. Microtransactions have been a part of the NBA 2K series for a while, but it’s been possible to ignore them. 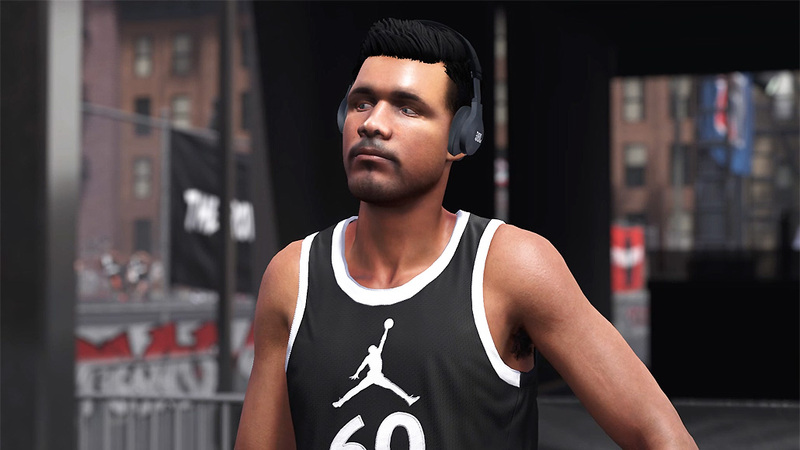 The Neighborhood seems to have been primarily designed to entice players to spend more VC – blowing fake money is just more fun when you’re doing it in a high-end virtual Foot Locker, y’know? 2K Games sent me the Legend Edition of NBA 2K18, which comes with a ton of VC, so I was free to spend like a drunken sailor, but those who buy the standard edition of the game may find getting the most out of The Neighborhood to be a bit of a grind. More entertaining than MyCareer are the MyGM and MyLeague modes, both of which let you delve into the behind-the-scenes nuts and bolts of managing an NBA franchise. This year, a full story has been added to MyGM – it isn’t as flashily presented as the MyCareer story, but it may be more interesting, with more opportunities for player choice. NBA 2K’s franchise modes have always had a ridiculous amount of depth, and the new MyGM story spices things up just enough to keep graph and menu fatigue at bay. 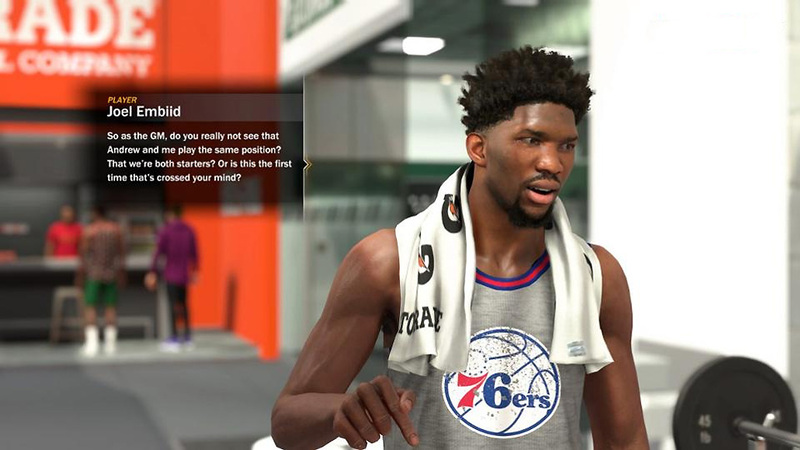 MyLeague presents a more bare-bones franchise mode, but the ability to play with up to 29 other folks in a competitive league will be of interest to true NBA nerds. And there’s more! Much more! I haven’t even mentioned NBA 2K18’s absorbing MyTeam collectible card game or its many exhibition modes. Point is, this is a huge game. It will eat hundreds of hours of your life, and come back for more. It may literally be impossible to play through it all. Needless to say, between NBA 2K18 and the kickoff of the NBA 2017 – 18 season, basketball fanatics should have their next six months of free time all sewn up. This review was based on a PS4 copy of NBA 2K18 Legend Edition Gold provided by publisher 2K Games. You may purchase the game via Amazon. NBA 2K18 has a few holes in its game -- the series needs to improve its writing, the ballyhooed MyCareer Neighborhood hub falls flat, and the tech powering the series is nearing retirement age. That said, boil the game down to its essentials and you have a rock-solid, well-balanced sports sim that provides an immensely entertaining shoulder-to-shoulder same-couch multiplayer experience. It’s that strong core that keeps NBA 2K18 and its vast array of modes and features from collapsing in on itself. NBA 2K18 isn’t a milestone entry in the series, but it’s a solid playoff contender well worth basketball fans’ time.